It’s time again for Spring Break. With Samford’s break having just wrapped up and UAB’s about to start, Birmingham students join the ranks of the nation’s college students looking for a break from studying. Using that criteria, here is the list that they came up with. Miami Beach: Affordable compared to other Florida beaches, lined with clubs and bars and pleasant beaches make this location easily slide into first place. South Padre Island: A tiny island on the tip of Texas, this location is an affordable and lesser-known Spring Break island. Cancun: Why mess with the classics? 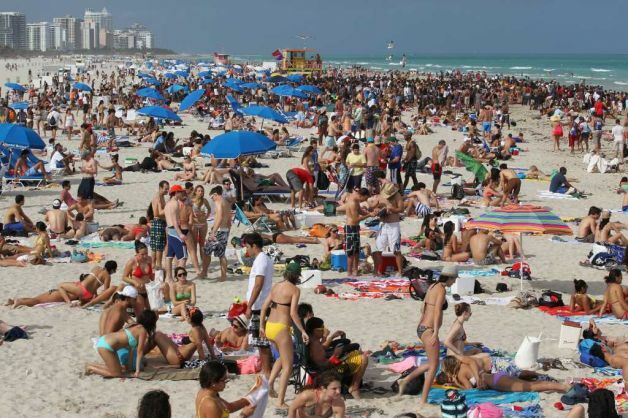 This has always been known as one of the most popular spring break locations. Puerto Vallarta: More than just beaches, this area offers hidden coves to explore. It is an ideal location for students who love the outdoors. Bahamas: The allure of Caribbean culture draws students in, and the cheap housing options seal the deal. Jamaica: Another well-known Spring Break location, Jamaica offers all the fun of the beach with a mood that is a bit more relaxed than U.S. coasts. Puerto Rico: While not a stereotypical spring break spot, Puerto Rico is still famous for its beautiful beaches and music. San Diego: This location offers sand and boardwalks at a much milder temperature than other places. Cabo San Lucas: For those students who are willing to pay steeper hotel prices, this location is considered the party capital of southern Baja. Daytona: A spot that was once more popular with spring breakers, many students are still drawn in by its affordability. Not to mention, you can drive on the beach!